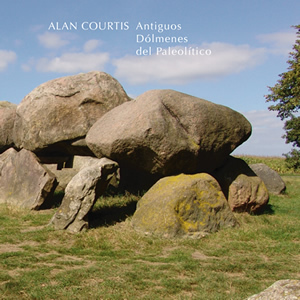 ANTIGUOS DoLMENES DEL PALEOLiTICO-(“Ancient Palaeolithic Dolmens”) is a composition in four parts created exclusively with processed no-input feedback and inspired by these stone monuments. It was created in early 2004 and is the first full-length solo CD from Argentinian composer Alan Courtis, a founding member of the group Reynols. Courtis currently lives in Buenos Aires, and has toured extensively in USA, Europe, Japan & Latin America collaborating with artists such as: Pauline Oliveros, Damo Suzuki, Toshimaru Nakamura, Makoto Kawabata, K.K. Null, Rick Bishop, Thomas Dimuzio, Jason Kahn, Solid Eye, Birchville Cat Motel and Lasse Marhaug.